We hosted a beer pairing party last Saturday where we invited guests to bring dishes that paired well with our home brew selections. Fun times were had by all and the food pairings were delicious along side our beer. We had 12 beers available that evening! This provided us with an opportunity to obtain feedback on many different beers that we are entering in the National Homebrew Competition next month. The vast majority of entries scored in the low to high 30's. So although only two placed, we know that in another competition any of those other entries could easily place as well. Competitions tend to be a bit of a "numbers game" or a crap shoot. The more entries you have, (assuming high quality), then of course the better the odds of placing. 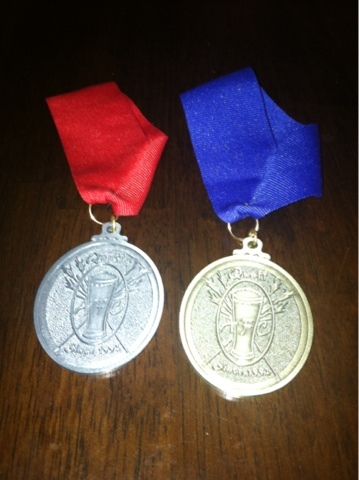 I expected that our English Special Bitter and Saison would medal (which ended up scoring 38 and 37 respectively) but they didn't. Beers fair differently in each competition. 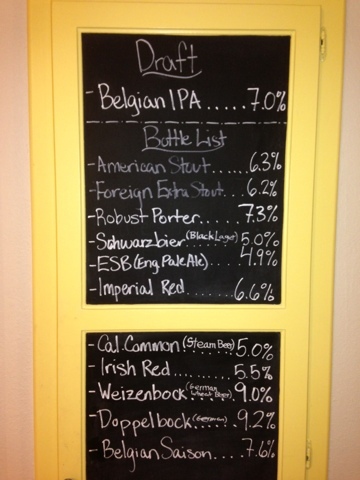 We haven't had a beer place in multiple competitions, but we're placing in many different categories. For example, the Belgian Dark Strong that took 1st in the QUAFF Strong Ale Competition with a 38, received a much lower score in the AHA Un-Session Competition (28). But then it scored fairly well again in the AFC at 34 with a lot of praise. So you just never know how well a beer will actually perform in competition. We're looking forward to the NHC competition in the coming months. The organizers of AFC did a fantastic job to try to pair judges properly so that all the beers were judged fairly and I'm very grateful to them for making the extraordinary effort to organize the AFC competition.